The CEO of Dippin' Dots just shot back at Sean Spicer, the White House press secretary whose five-year Twitter battle with the ice cream company came to light this weekend on social media. "We've seen your tweets and would like to be friends rather than foes," Dippin' Dots CEO Scott Fischer wrote in an open letter. "After all, we believe in connecting the dots." The sporting goods giant once owned and operated 540 stores across America, according to RetailResearch.org, but it filed for Chapter 11 bankruptcy protection in March 2016 and things continued to go south from there. In the end, more than 14,500 employees found themselves out of work. Although Sports Authority announced at the time of the filing that it would only shut down 140 of its stores, as well as two distribution centers. A leveraged buyout is one of several reasons cited for this Colorado company’s demise. The retailer was king of the hill, holding assets of about $1 billion, according to Fortune, when a hedge fund purchased it in 2006. But that buyout brought a significant amount of debt that the company found itself struggling to satisfy. Ultimately, Sports Authority failed to reach an agreement with its creditors as part of the bankruptcy process. Competition from online retailers like the NFL, NBA and Amazon has also been blamed. Sports Authority’s crash-and-burn wasn’t the only fatality in the sporting goods empire in 2016. Sport Chalet, owned by Vestis Retail Group, was also laboring under significant debt and feeling the bite of competitors at its heels. Initially a family-owned business launched in 1959, California-based Sport Chalet just never got the hang of the amazing potential of the Internet, even after Vestis bought the family out in 2014. The company was already more than $50 million in debt at the time of the purchase. Sport Chalet didn’t carry a wide variety of inventory, but focused on just a few outdoor sports like diving, hiking and skiing. It maintained only 47 stores, all on the west coast, and this may have led to its downfall. Gawker’s death was the stuff tabloids are made of — literally. The gossip blog folded in August 2016 after 13 years, citing its sensationalized legal battle with Terry Bollea — aka Hulk Hogan — as the cause. Gawker published a video in 2012 that included scenes in which the Hulk was obviously engaged in sexual activity. Bollea sued and won — the court awarded him damages of $140 million, forcing the blog site into bankruptcy. Bollea didn’t have particularly deep pockets at the time he filed the lawsuit, however, so a Silicon Valley investor named Peter Thiel financed the effort on the Hulk’s behalf. Why would he do such a thing? Because he reportedly had a longstanding grudge against Gawker stemming from an article that speculated on his sexuality. Univision purchased Gawker in August 2016 and shut down its primary site, although it has maintained some other websites that had been operating under Gawker’s umbrella, including Deadspin and Gizmodo. Many of Gawker’s writers are said to have migrated to those sites. Staples isn’t among the companies that officially went out of business in 2016 because it’s still functioning … sort of. The Massachusetts-based stationary retailer sold its stores in the U.K. to Hilco Capital in November, a company that specializes in buying up struggling companies. Hilco closed 106 stores there, affecting some 1,100 employees. In this age of laptops, cellphones and tablets, who really uses paper anymore — the crux of Staples’ business in the beginning? Staples has tried to keep up with the times by offering a wide range of electronic products, but apparently it’s been a struggle. The company announced in December that it’s selling a controlling interest in its entire European business to Cerberus Capital Management LP for $53.6 million. It intends to devote its resources to trying to keep its North American stores afloat heading into 2017. Fashion retailer American Apparel also began trimming down its U.K. and European stores after filing for Chapter 11 bankruptcy in October 2015. The company itself is reportedly for sale. Its 13 U.K. stores will close after Christmas 2016, affecting 95 employees. So what went wrong? The chain’s merchandise was expensive, and consumers reportedly felt that it was no longer cutting edge. Perhaps not so coincidentally, the company — headquartered in Los Angeles ­— also received notice from the New York Stock Exchange mere weeks before filing for bankruptcy, indicating that American Apparel no longer complied with NYSE requirements due to its financial distress. That bankruptcy filing might have been just the ticket. American Apparel insists that after it segued into a private company in February as part of the Chapter 11 reorganization process, it’s much more solvent. It remains to be seen if that will hold true in 2017, however. Banana Republic spent 2016 struggling to hold on. It, too, intends to close eight of its U.K. stores after Christmas, affecting 90 employees. The Gap subsidiary will concentrate its capital and efforts on its U.S. stores, but it will continue to sell in the U.K. via its website. The San Francisco-based company announced a restructuring plan in November, which is rumored to include store closures in the U.S.
As for parent company Gap, its Old Navy stores in Japan are also anticipated to close. Gap closed 20 stores under its own brand during the course of 2016. This California surf-style apparel company filed for Chapter 11 in April 2016. It entered into a deal with Golden Gate Capital as part of its reorganization plan. PacSun faced two significant obstacles in its quest for solvency. Its CEO cited approximately $90 million in debt coming due later this year, which prompted the deal with GGC’s affiliates, as well as occupancy costs of more than $40 million a year. With GGC at the helm, PacSun hopes to reduce its debt by as much as 65 percent in 2017 and restructure its occupancy costs through lease terminations. That sounds a little like some stores may close. Yes, this venerable American institution is on the skids. Now officially called Sears Holdings and headquartered in Hoffman Estates, Illinois, the company’s 2016 third quarter echoed with the sound of it grabbing a hammer even if it hasn’t quite pounded the proverbial nail into the coffin yet. Apparently, people just aren’t shopping at Sears much anymore. The Land’s End brand uses Sears as its major retail outlet, and Land’s End’s sales dropped by almost 15 percent in the third quarter after losing more than 11 percent the year before. Then, in December 2016, at the beginning of the holiday shopping season, an exodus of upper-echelon corporate management began from what might be a sinking Sears ship. This might be moot, however, because none of these executives were able to achieve an uptick in sales over the last two years. Sears lost $866 million, according to Fortune, in the first half of the 2016 fiscal year. The store is still open — for now — and is selling off assets to try to stay afloat. 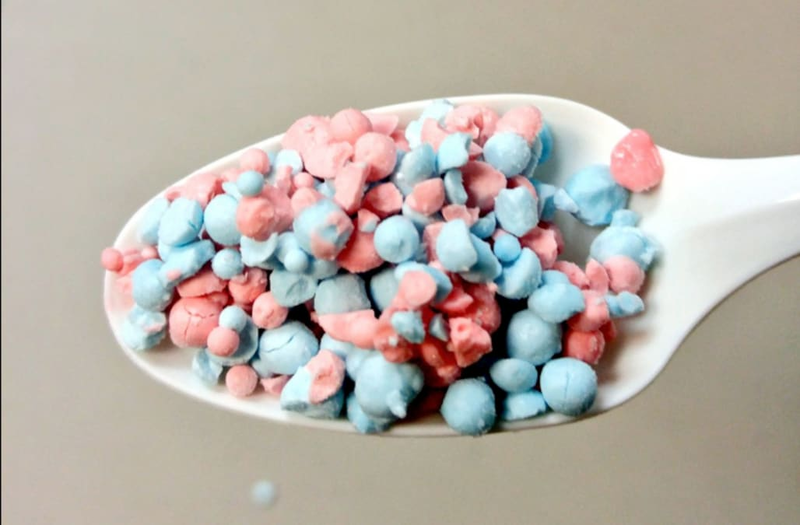 Fischer goes on to say that Dippin' Dots are made in Kentucky, and that the company has experienced double-digit sales growth for the past three years. He additionally offered to "treat the White House and press corps to an ice cream social." Spicer's Dippin' Dot tweets began in 2010, when he tweeted "Dippin dots is NOT the ice cream of the future." Since then, Spicer — who held his first press briefing as White House press secretary on Saturday — has tweeted about Dippin' Dots at least four times. The most recent tweet was in 2015 when he complained about the company running out of its vanilla flavor. We understand that ice cream is a serious matter. And running out of your favorite flavor can feel like a national emergency! We've seen your tweets and would like to be friends rather than foes. After all, we believe in connecting the dots. As you may or may not know, Dippin' Dots are made in Kentucky by hundreds of hard working Americans in the heartland of our great country. As a company, we're doing great. We've enjoyed double-digit growth in sales for the past three years. That means we're creating jobs and opportunities. We hear that's on your agenda too. We can even afford to treat the White House and press corps to an ice cream social. What do you say? We'll make sure there's plenty of all your favorite flavors.